The ultimate top-of-the-line luxury watercraft combines Power, Comfort, Handling and Technology like nothing else on the water. And with the 300-hp Rotax 1630 ACE engine, nothing else will come close. 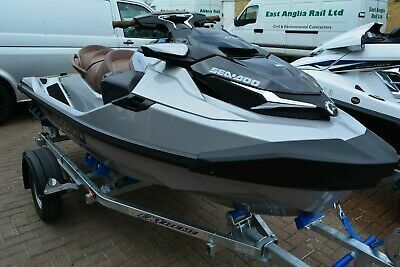 This 2019 Seadoo Gtx Limited 300 Jet Ski Trailer Seadoo Jetski New Finance Available boat is located in Whitstable, CT5 3QT and is being sold on eBay by thejetworks.